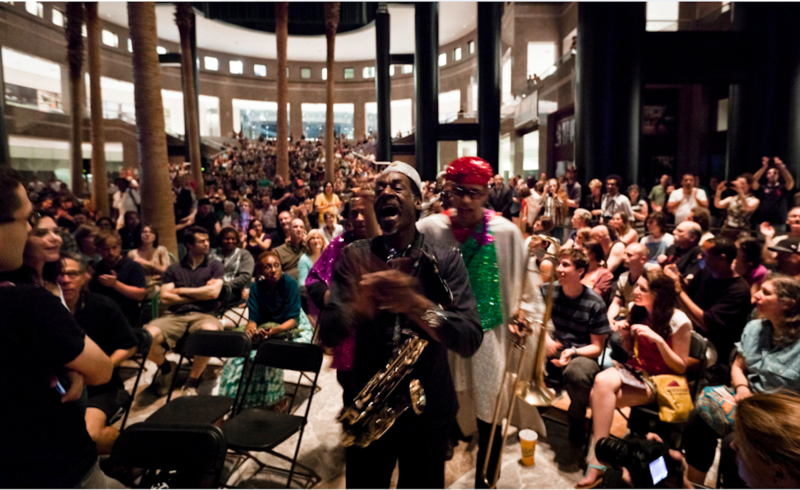 With an emphasis on commissioned works, site-specific installations and premieres, Arts Brookfield is the largest year-round, free performing arts and cultural presenter on the East coast. New York’s most spectacular new holiday lighting display is wowing crowds - and the media - at the Brookfield Place Winter Garden. The massive canopy of 650 lantern that pulse and glow with ever-changing colors is providing an unforgettable setting for a range of holiday events - from a Quiet Clubbing Dance Party to The Nutcracker. PKPR has secured coverage in outlets including The New York Times, Gothamist, Time Out New York, Inhabitat, am New York, Untapped Cities , About.com, and Spoiled NYC. 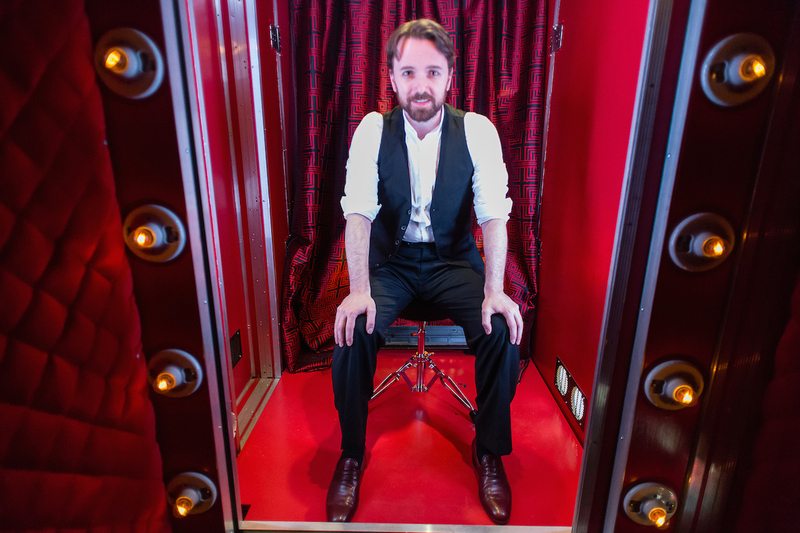 Arts Brookfield’s presentation of I’m Not the Stranger You Think I Am, a collection of six new five-minute plays commissioned for production in Theatre for One’s mobile 4-by-8-foot theater, was a major success, garnering national and local media coverage. I’m Not the Stranger You Think I Am was reviewed in The New York Times by chief theatre critic Ben Brantley, who said it reminded him “that theater is nearly always about creating an intense intimacy, or the illusion of it.” It was also reviewed in The New Yorker, New York Theatre, and in an Associated Press feature, which was syndicated to several other national and international news outlets. It was also featured in NY1, and even Modern Family’s Ty Burrell loved Theatre For One. You can see his reaction to the show in this great WPIX segment. 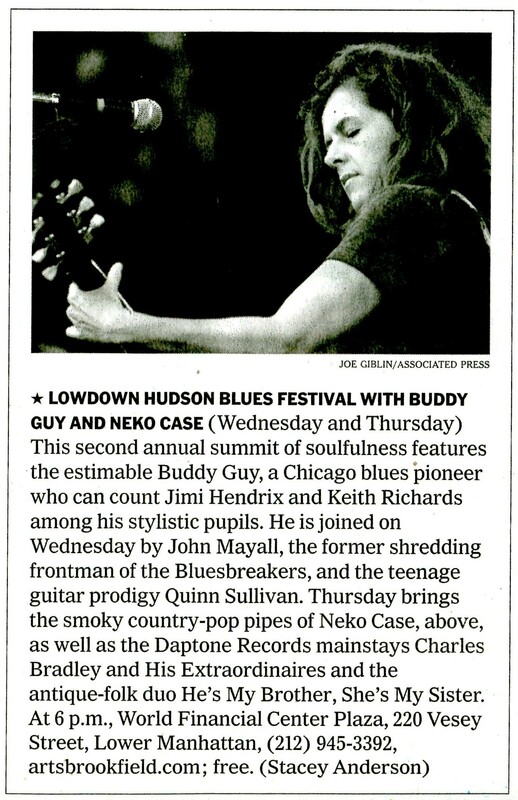 The New Yorker previewed this week’s Lowdown Hudson Blues Festival at Brookfield Place Plaza with the full-page opener in the Goings on About Town section. Other coverage highlights included Rolling Stone, The Wall Street Journal, Time Out New York, The New York Observer, NY1, BrooklynVegan, Flavorpill, New York Post, and amNY. Today’s New York Times features a wonderful review of DakhaBrakha and Poor Rich Boy at the closing night of the first-ever Global Beat Festival at Brookfield Place Winter Garden. Other coverage of the festival included two segments on WNYC’s Soundcheck Gig Alert, a Perfect Weekend pick in Time Out New York, and a preview on NY1. 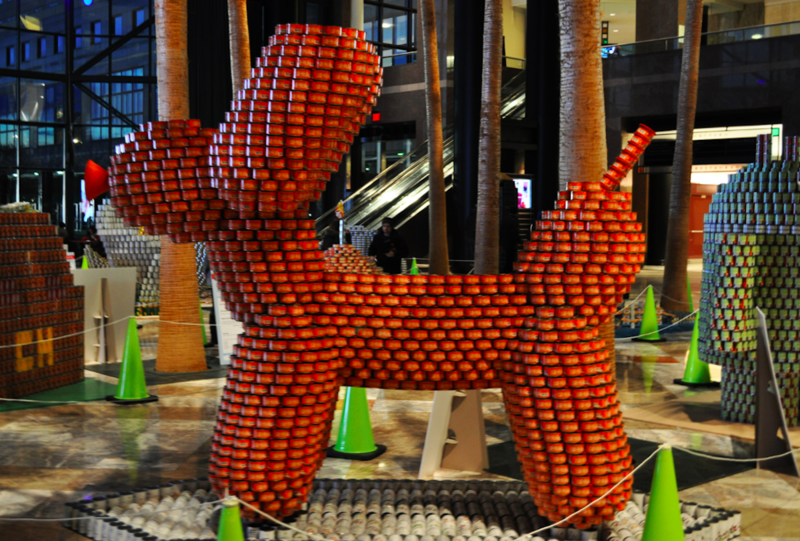 Canstruction, the world’s coolest art competition and food drive, once again transformed Brookfield Place into pop art wonderland with over 25 sculptures created from 100,000 cans of food. PKPR secured coverage far and wide—from national outlets like ABC News, USA Today, Elle Decor, House Beautiful, and Mediabistro Unbeige to NYC media like Time Out New York, New York Post, Gothamist, am New York, CW11 Morning News, and Curbed. The third annual Lowdown Hudson Blues Festival at Brookfield Place featured two days of free music with the legendary B.B. King, Los Lobos, Los Lonely Boys, Alejandro Escovedo and The James Hunter Six. Pre-festival media coverage in outlets like the New York Times, PIX Morning News, and DNAinfo helped bring an audience of 20,000 people to lower Manhattan. Wow! PKPR secured a front page Arts section feature on our longtime client, Arts Brookfield. In an in depth piece by culture reporter Allan Kozinn, the Times explores how Brookfield Properties, under the leadership of Artistic Director Debra Simon (pictured above in front of the World Financial Center) “has emerged as a surprisingly significant player in the arts” in New York City and nationwide. 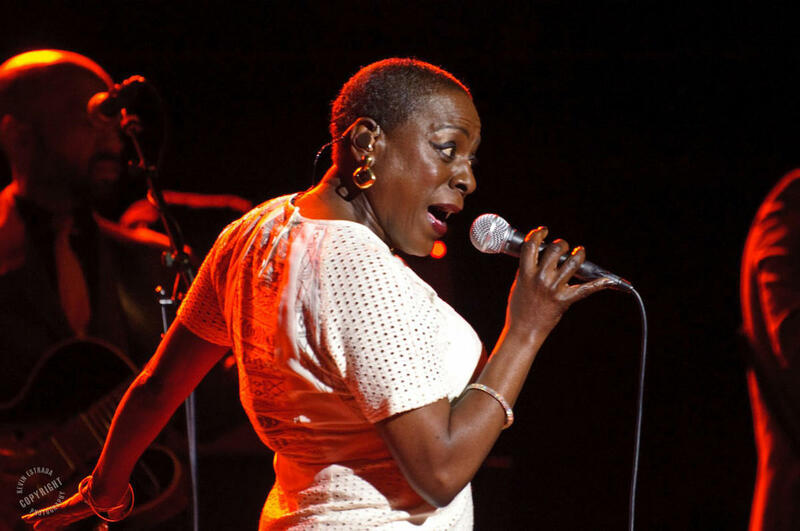 Arts Brookfield’s second annual Lowdown Hudson Blues Festival, with headliners Buddy Guy and Neko Case, brought an estimated 20,000 people to the World Financial Center Plaza on July 11th and 12th. To position the Lowdown Hudson Blues Festival as a major national festival, PKPR booked Buddy Guy on the Late Show with David Letterman to sit in as a special guest with Paul Shaffer and the CBS Orchestra. 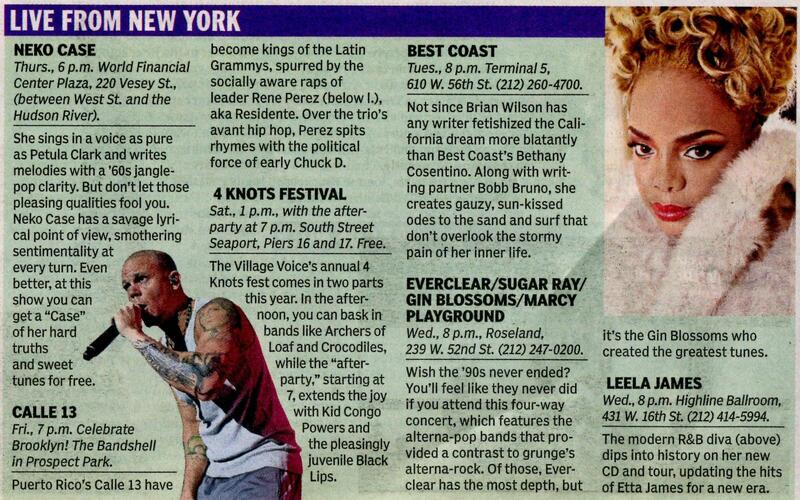 PKPR built up anticipation for the festival with coverage in Time Out New York (#1 critics pick), New York Times, New York Daily News, New York Post, AM New York, Newsday, New Yorker, New York Magazine, Pitchfork, Flavorpill, Brooklyn Vegan, The L Magazine, and Bust Magazine. 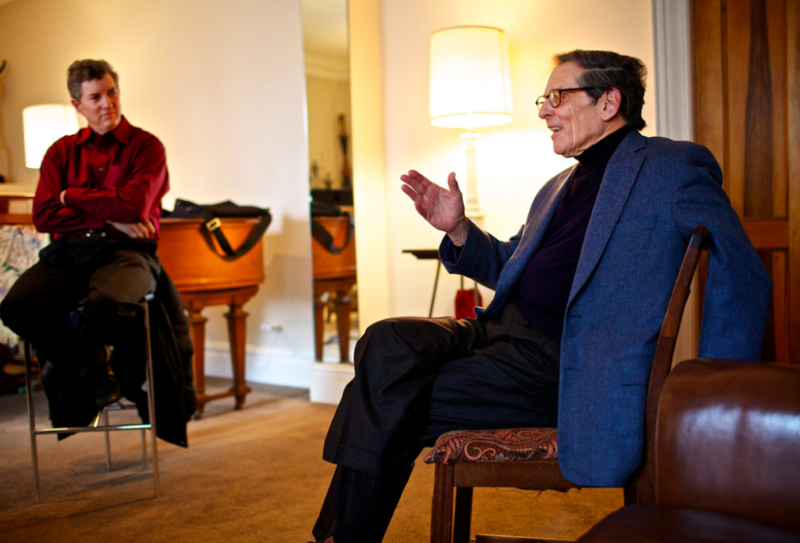 Post coverage of the festival included two NY1 segments, one of which featured Buddy Guy interviewed by George Whipple, as well as Rolling Stone, a Village Voice review, a Time Out New York slideshow, and two days of photo sets on Brooklyn Vegan. 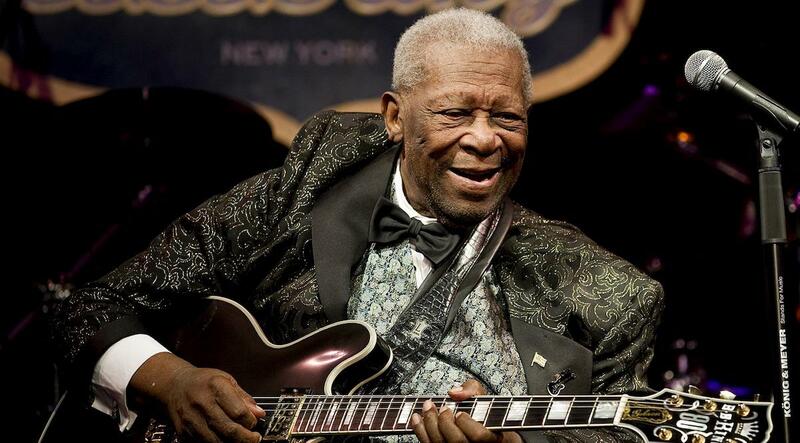 Blues legend Buddy Guy, fresh from jamming with President Obama at an all-star concert at the White House last month, will join celebrated chanteuse Neko Case to headline a free two-day blues music festival in Lower Manhattan on July 11th and 12th at the World Financial Center Plaza. 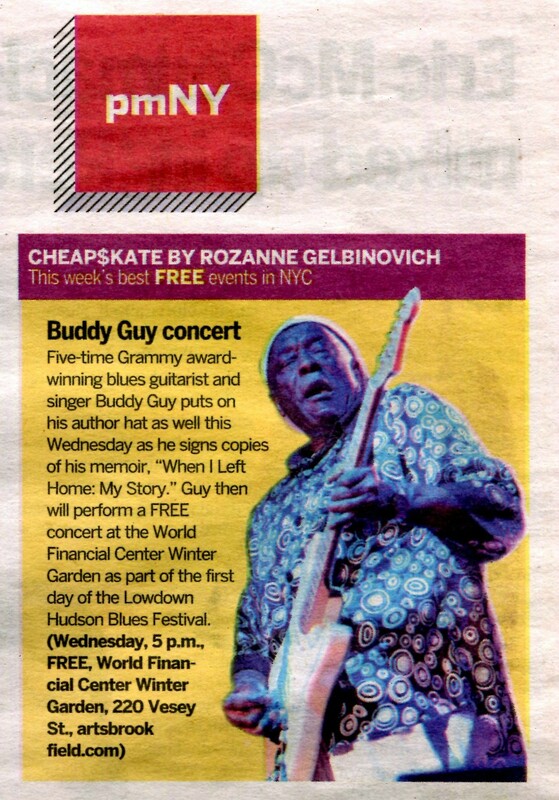 To announce the show, PKPR secured an exclusive in The New York Times, a segment on NY1 featuring Buddy Guy performing with President Obama, and coverage in BrooklynVegan. 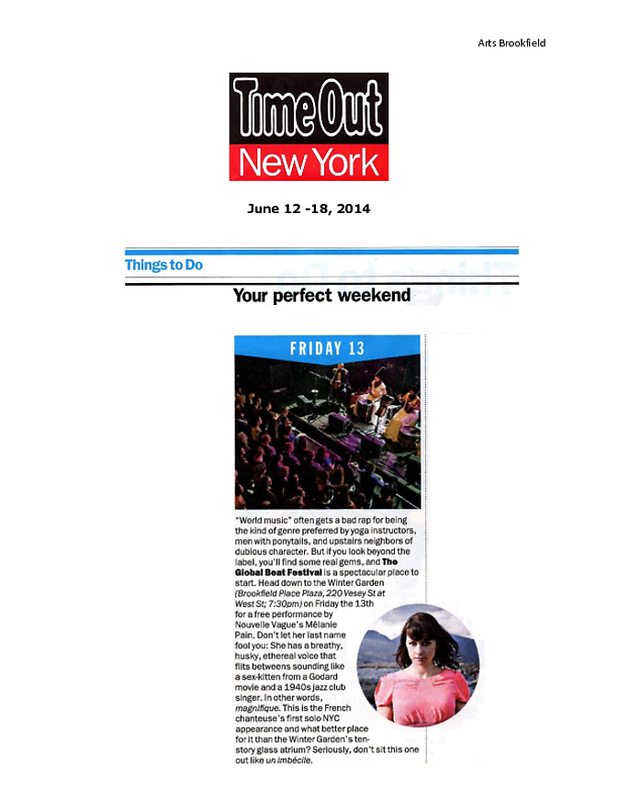 Time Out New York named its one of the top Blues/Jazz/World Music concerts of the summer and it was highlighted in both The New York Times and New York Post’s summer previews. 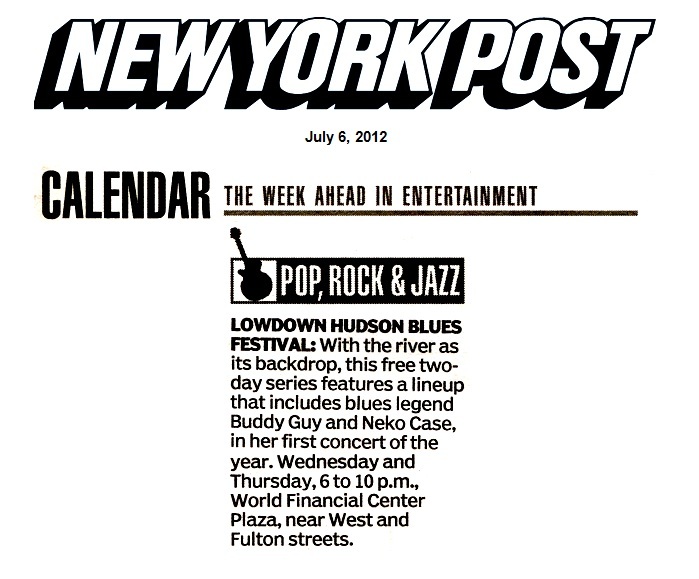 And set your DVRs for July 11th: PKPR booked Buddy Guy to perform on Late Night with David Letterman! THE MINERS' HYMNS Trailer from Icarus Films on Vimeo. Arts Brookfield at World Financial Center shined a spotlight on the modern master of archival and experimental film, Bill Morrison, in a free, four-night series pairing his acclaimed features with music by some of today’s most renowned composers. Hailed by Variety as one of the most adventurous American filmmakers, Morrison mixes decaying footage from old silent movies with wildly experimental original images and scores to create a stunning film-going experience. The series kicked-off and culminated with live performances by two celebrated new-music orchestras. The Wordless Music Orchestra accompanied Morrison’s The Miners’ Hymns, while The Oberlin Contemporary Music Ensemble performed the score for Morrison’s masterpiece Decasia. Coverage highlights ranged from reviews by Jon Pareles in The New York Times and Tobias Carol in The L Magazine to interviews with Morrison in IndieWire and Downtown Express to a Best of the Fests in Time Out New York. 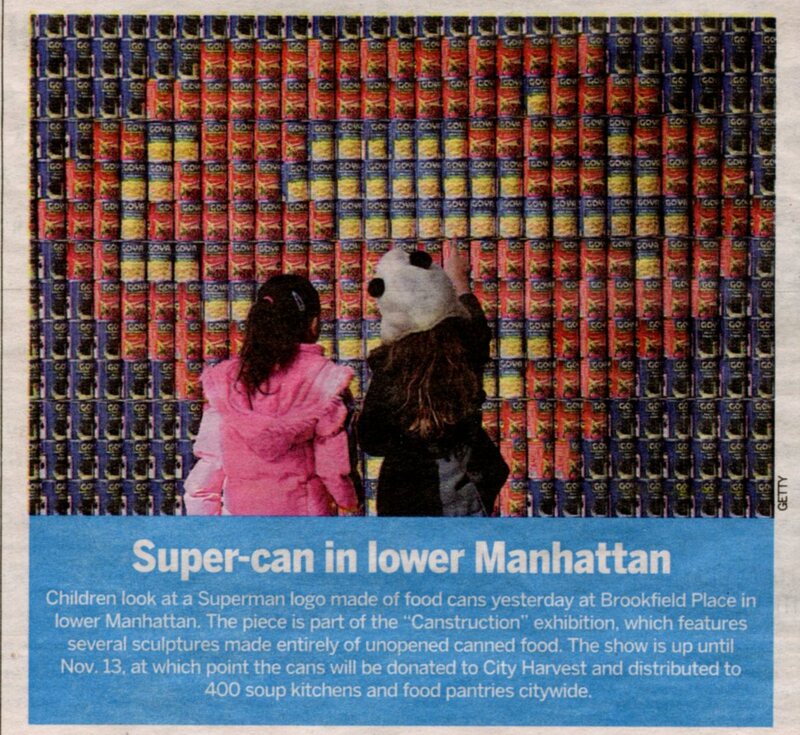 For the second year in a row, PKPR handled publicity for Canstruction, the annual design competition which helps feed hungry New Yorkers during the Thanksgiving season. 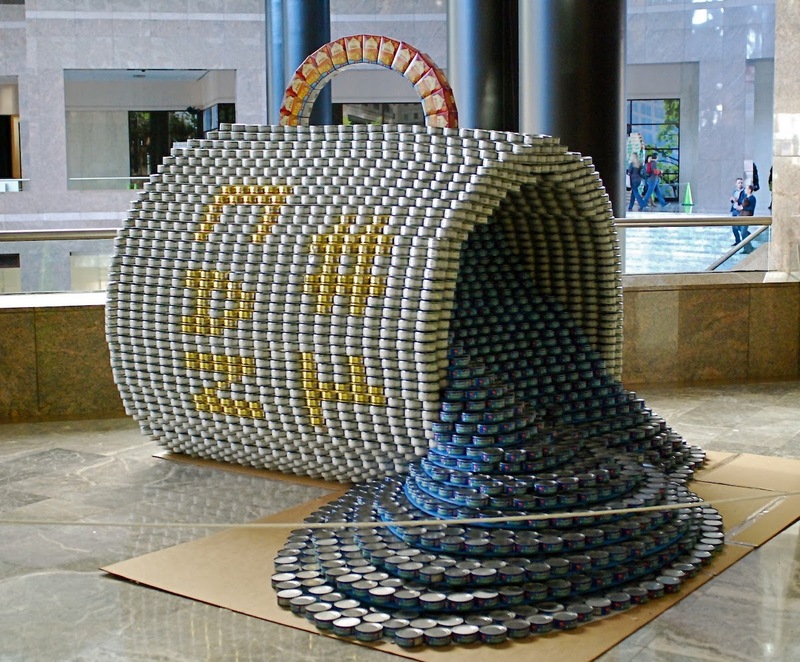 26 of New York City’s leading architecture firms designed larger-than-life sculptures out of more than 100,000 unopened cans of food, all of which were then donated to City Harvest. Highlights of this year’s competition included sculptures of Angry Birds, a Converse sneaker, and Alexander McQueen’s high heels made famous by Lady Gaga. Other national coverage ranged from ELLE Decor, WWD, and This Old House’s Bob Vila to Scholastic, TreeHugger, and Curbed. Jules Feiffer’s beloved modern Dancer, whose cartoon figure ran for 40 years in The Village Voice, was celebrated by Arts World Financial Center in a series of special events during River To River Festival. The centerpiece was the NY premiere of The Dancer Films, a collection of six very short films directed by Judy Dennis and featuring Andrea Weber of the Merce Cunningham Dance Company as the iconic character. Taking the experience further, Arts World Financial Center presented an exhibition of Feiffer’s original Dancer drawings alongside new works in A Dance To Spring: The Drawings of Jules Feiffer. PKPR was thrilled to secure an in depth, front page Arts section feature on The Dancer Films, showcasing interviews with Feiffer, Dennis, Weber, and the film’s choreographers Susan Marshall and Larry Keigwin. Other highlights included features in The Village Voice and a segment on WNET’s Sunday Arts. This was one performance where the audience was not asked to turn off its phones. In “The Attendants” by The Nerve Tank, audience members were invited to send text messages and tweets to influence the actions of two performers enclosed in an eight-foot plastic cube in the middle of the World Financial Center, one of New York City’s busiest business hubs. People around the world were also able to send messages and watch every move via a live webcam feed at www.NerveTank.com. Features on this extraordinary production included The New York Times, NY1, amNY, Village Voice, Time Out New York, City Arts, Flavorpill, Tribeca Tribune, and DNAinfo. The sound of Carnival carousing and swordfights filled the World Financial Center this March when it presented a production of The Rover, a 17th Century Restoration comedy by Aphra Behn, the first professional female playwright in the English language. 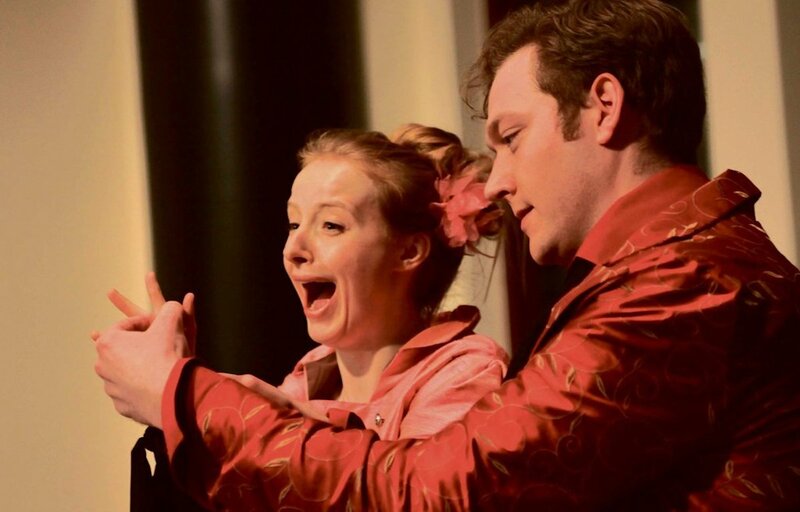 From March 2nd through March 20th, Aphra Behn’s biting comedy of manners transformed the bustling business hub into 17th Century Naples at the height of Carnival, including live music and songs performed by the actors themselves. The New York Classical Theatre production employed the company’s signature panoramic staging style, taking audience members up and down staircases and around mezzanines throughout the 3.5-acre venue. Helmed by director Karin Coonrod, the bawdy, full-blooded romp unfolded not just in front of the audience but all around it. See reviews of The Rover in The New York Times, The Village Voice, Back Stage, Downtown Express, NY Theatre, and Off Off Online. New York Times: A Musical About Robert Moses? Highlights from a forthcoming full-length musical exploring the controversial life and legacy of urban planner Robert Moses will have its world premiere at the World Financial Center Winter Garden on Saturday, January 15th. Over 100,000 full cans of food were transformed into epic eye candy when they were assembled into fanciful, mind-boggling sculptures at the World Financial Center Winter Garden this month. The fantastical installations, created by 25 teams of architects and engineers, were part of Canstruction, an exhibit and design competition that drops jaws in more ways than one. 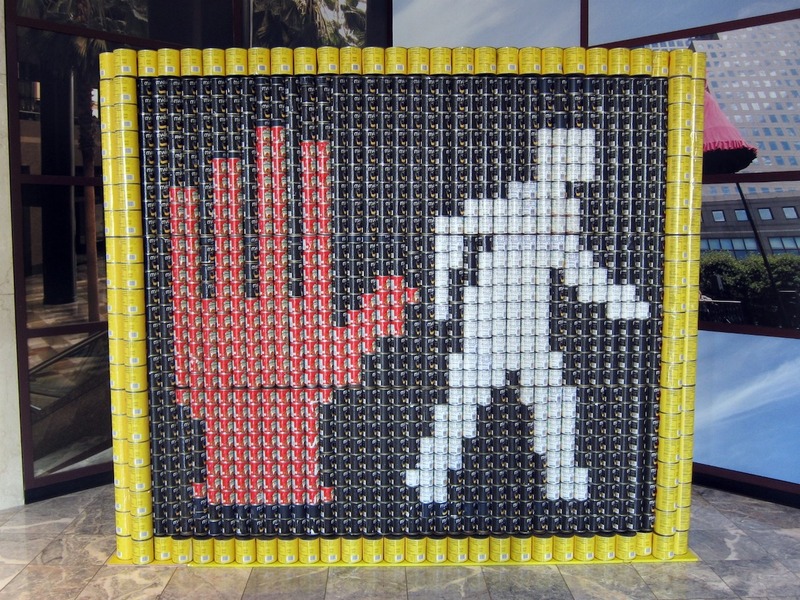 In addition to being a visual smorgasbord for New Yorkers to feast their eyes on, Canstruction is an inspired campaign aimed at raising hunger awareness during the Thanksgiving season. At the closing of the exhibit, the pop art was dismantled and donated to City Harvest for distribution to programs that feed hungry New Yorkers. Coverage of the exhibition included CNN, New York Times, New York Post, WABC, Metro, Time Out New York, Flavorpill, NBC New York, and Gothamist. Celebrated artist Shepard Fairey (of the Obama “Hope” poster fame) guided more than 100 young New Yorkers in creating a powerful 40-foot long mural that made its public debut at the World Financial Center this month. The mural, A Positive Thought Cannot Be Denied, expresses the kids’ views on teen violence, the environment, education and other issues relating to social justice. Coverage included WNET Sunday Arts (video below), Time Out New York, Village Voice, Time Out New York Kids, Gothamist, DNAinfo.com, Newsday, Curated, and The Dirt Floor. 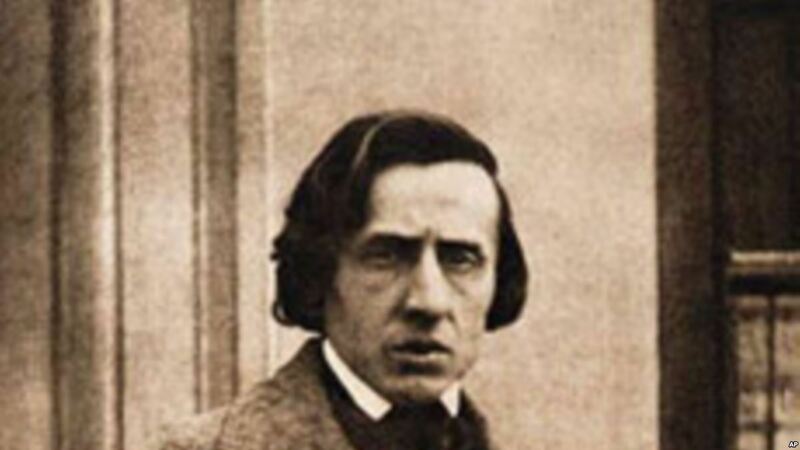 To celebrate Frederic Chopin’s 200th birthday on March 1st, Arts World Financial Center mounted one of the most ambitious tributes in the world, with more than 200 hours of music performed by nearly 200 pianists. PKPR garnered international coverage for the week-long event, starting with a Reuters article that was syndicated from Vancouver to Sydney. The New York Post and Time Out New York named it a top pick of the week, while other highlights included New York Times, New Yorker, Flavorpill, and WNET. 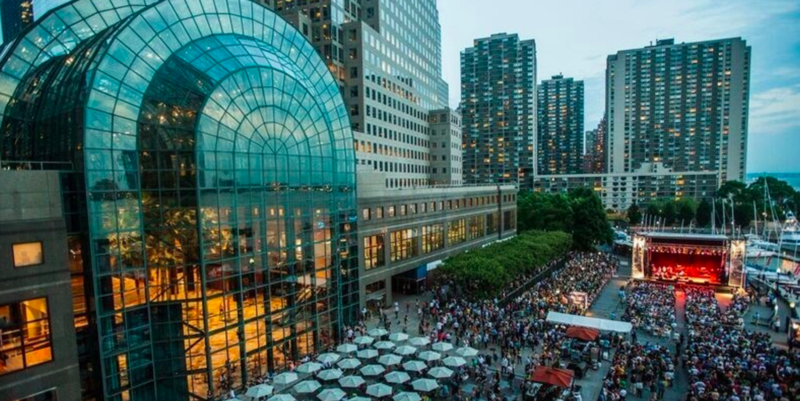 As featured in today’s New York Times, the bustling World Financial Center will be transformed into Elsinore Castle next month when it hosts a free production of Hamlet that will inhabit the sprawling venue as its set. 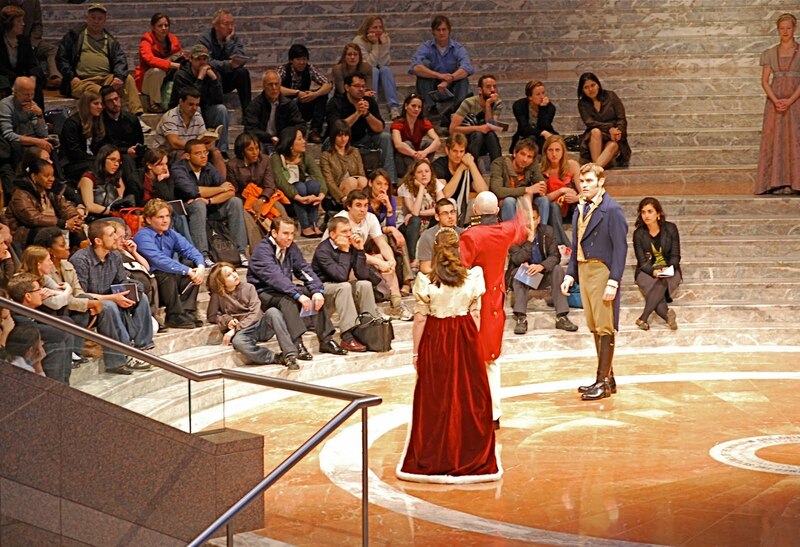 From April 1-18, New York Classical Theatre will perform William Shakespeare’s tragedy in their signature panoramic staging style, with the audience being drawn into Hamlet’s world as they follow the actors down staircases and around mezzanines throughout the entire World Financial Center complex.